I picked up this ebook by Ben Cassidy because it was free and looked amazingly interesting. My bookclub had also read one of his shorts before and totally loved it, and I wrote a short fantasy piece for an anthology raising money for him when he was diagnosed with cancer last year. This book was no less awesome. I was grabbed by the charaters and immersed into the story from the first page to the last page. Ben has a brilliant way of describing things and his action scenes flowed well and were easy to follow. And action there was plenty of. The bad-guys felt a teensy bit black and white but they were still villians you could love to hate and I was very much rooting for the Ghostwalker to show them who was awesome (he was totally awesome). Some of the scenes were a bit damsel in distress from the other main character but she soon bucked up and tried to help as well. 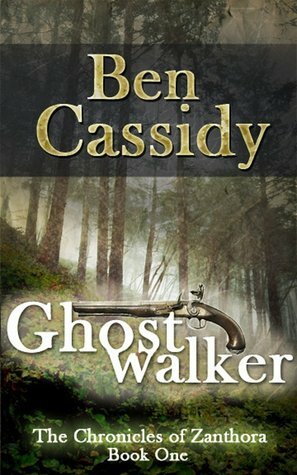 I still have quite a few questions, especially about what exactly a ghostwalker is and what happened to this one, but I still felt like I had a few answers during this book so I’m not complaining. I loved this book so much I put the next one on my to-read list right away.